This fantastic early season jeep tour near Vail features Castle Peak, a jagged volcanic mountaintop, and the nearby Blue Lake, one of Colorado’s most picturesque high mountain lakes. The arid mountain landscape on this jeep tour is also accented by several springs, small lakes, and perennial streams along the way. 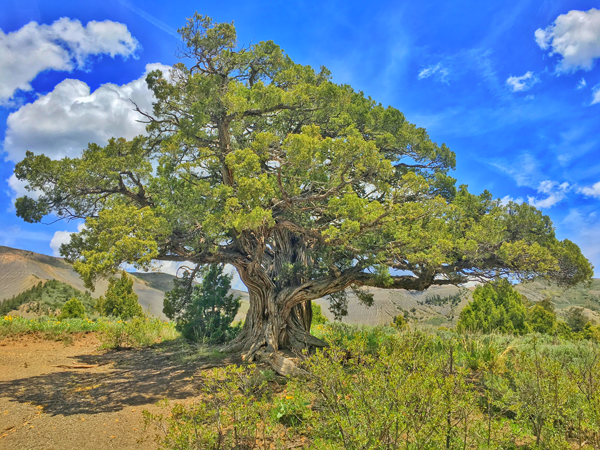 Wildflowers and diverse vegetation including expanses of Douglas Fir, Engelmann Spruce, Aspen, blue sage, and thousand-year-old pinyon-juniper trees add amazing variety to this scenic jeep tour. With such landscape diversity, it’s not surprising that this area is also the home to wildlife including elk, mule deer, foxes, marmots, red-tailed hawks, and sheep. This jeep tour gets exciting after a half-hour drive along a road that follows the majestic Eagle River to historic Wolcott, Colorado, once a thriving tent city established by early settlers. This stop along the abandoned Rio Grande Railroad is also full of prehistoric history and is where Timberline Tours partners with Fossil Posse to offer Dinosaur Discovery, an educational adventure that combines rafting on the Colorado River with an afternoon fossil dig. 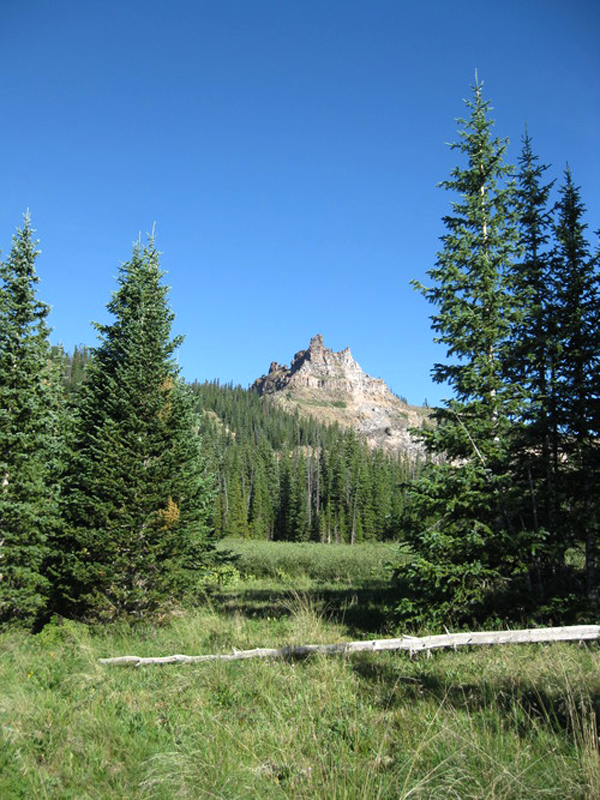 Beyond Wolcott, we enter the Castle Peak Restoration Area, one of the most biologically diverse areas in the Vail Valley. This jeep tour takes an adventurous turn as the road gets rough, and we’ll pass by the steep basalt slopes of Horse Mountain. While searching for wildlife, we’ll travel over terrain that includes rolling hills, spring-fed basins, and gorgeous aspen meadows until gaining views of Castle Peak itself. Here, a jagged volcanic dike thrusts its way above this peak’s broad dome and overlooks the entire valley, giving it a dramatic, castle-like appearance. From this location, you’ll also have a front-row seat to some of Colorado’s highest peaks including the Gore Range, Sawatch Range, Flat Tops, Tenmile Range, Elk Range, and even Capitol Peak and the Maroon Bells on a clear day. Finally, we will drop in elevation until we discover one of the most stunning destinations on any Timberline Tours jeep trip: Blue Lake, a spring-fed lake that’s hidden in dark timber. The combination of dry mountain terrain punctuated by such beautiful water features is truly rare in Colorado. 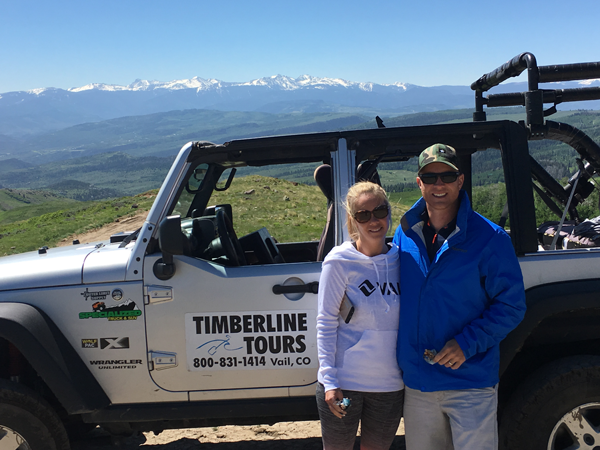 If you’re hoping for a Vail jeep tour that provides mountain views, wildlife sightings, scenic waterways, and a true Colorado adventure, then the Timberline Tours Castle Peak jeep tour is a great fit for you and your group. Moderate, cannot be done in rainy or severe weather. Timberline Tours jeep tours include refreshments. We are happy to accommodate any specialty snack or beverage requests if given prior notice.